£3 children & students under 18. Under 16s must be accompanied by an adult. 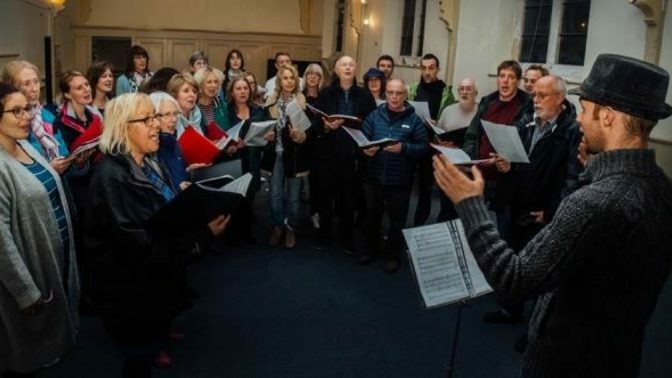 Led by Matt Norman, enjoy a morning workshop learning old English Carols in traditional harmony – including some which are local to us! The singing of traditional carols dates back to the seventeenth Century, well before the Victorian Christmas which we know today. These traditional carols are characterised by simple, robust harmonies and catchy tunes. The tradition still survives in the area around Sheffield, and in Cornwall, Exmoor and Somerset. If this puts you in the mood for Christmas, you can book for our Christmas Carvery Lunch (1pm – early booking recommended) and raise your voice as part of our afternoon Folk Carol Concert (3pm – free). Singers of all levels of experience are welcome, as well as accompanied children; Matt has a relaxed style which gets the best from singers of all abilities. Carols will be taught by ear so there’s no need to be able to read music, but music will also be provided as well. Matt Norman (from Dartmoor) is an experienced choir leader and arranger. He has recently published a book of English pre-victorian carols arranged for community choirs in traditional harmony. Matt is also known as a performer, composer, conductor and teacher. He predominantly works with traditional English music, steeped in the traditions of Devon and Dartmoor. He is also blues and classical musician.